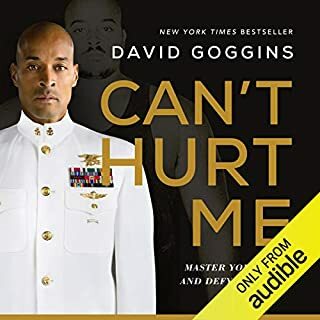 I hardly ever invest the time to leave a review of audio books, but this man put his soul out there for the benefit of anyone willing to listen and grow from his hard life's experiences. A review is the least I feel I could do as appreciation. I devoured this book in two days. Parts are hard to hear only because the stories of his pain and suffering (verified by a journalist) are so vivid. His relentless search for more and more excellence apparently took a toll on many people around him, and it takes a while for the book to reach the point where the reader can see him reflect on that downside of his relentlessness. His final epiphany brings closure to some of those loose ends, and that made the book that much more worth it to listen to. A really good book. 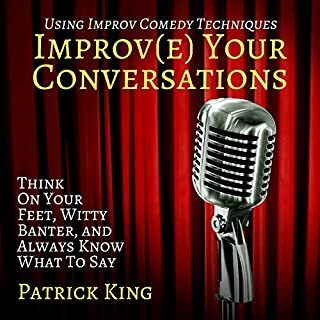 Covers the basics of conversation. If you understand the fundamentals of conversation, don't expect epiphanies. Do expect solid, helpful reminders about what works...those things we know or have heard of, but have stopped incorporating into our daily practice in conversations. After all, even those of us who believe we're pretty good at conversation need to go back to the fundamentals over and over until those fundamentals become an unbreakable habit that we practice every day.